Make sure your laptop is turned off. Ensure all AV cables (HDMI or VGA, Audio and Network) are connected to your laptop. Press the LAPTOP button on the AV control panel. The data project may take a minute to warm up. 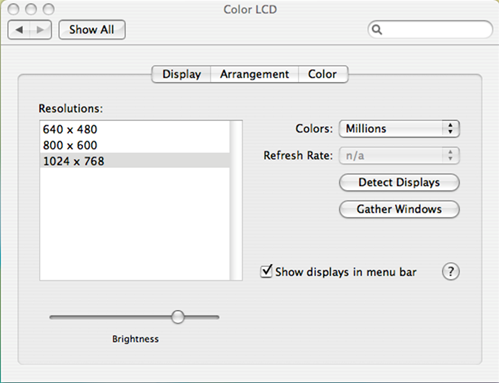 Go to System Preferences > Displays, and select the resolution 1024 x 768 (not stretched) on the left side of the window. Next, select the Arrangement tab. 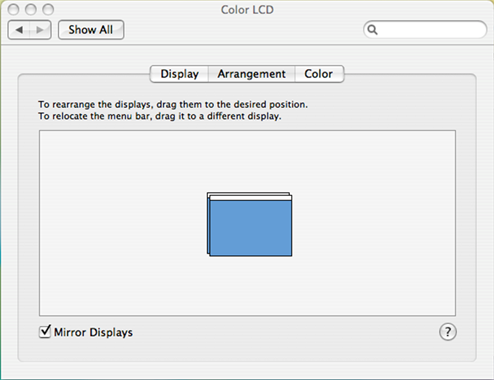 Make sure the box next to Mirror Displays is checked.